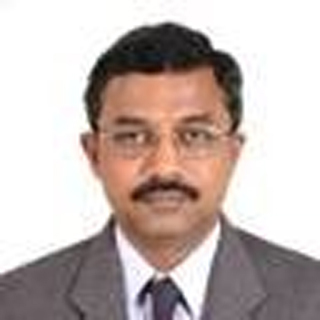 Pala Bushanam Janardhan, Business Consultant Manufacturing and Plant Automation Services Life Sciences and Healthcare Practice HCL Technologies Ltd. India. The idea behind Process Analytical Technology has been a proven technology in oil refineries, petrochemical, food & beverage and semiconductor industries. Pharmaceutical and Biotech companies can ensure improved quality, reduced scrap and enhanced productivity by learning from the experiences of these industries. Outside Life Sciences one would not hear much about Process Analytical Technology (PAT), a system for designing, analysing and controlling manufacturing through timely measurements of critical quality and performance attributes of raw and in-process materials and processes. The idea behind PAT is not new. It is more than a 50 year old concept and a proven technology in several other industries. Advanced Process Control (APC), which is comparable with PAT, has been used for a long time in Oil refineries, Petrochemical, Semiconductor and the Food & Beverage industries. Usage of APC enabled the determination and control of product performance to specification in near-real time. APC is composed of different kinds of process control tools. Statistical Process Control (SPC) is one of them, others being model predictive control, Run2Run & fault detection and classification. The PAT tools comprise of continuous improvement and knowledge management tools, multivariate tools, process analysers and process control tools. In oil refineries and petrochemical industries quality problems need to be corrected before they contaminate large volume of products. In a typical vegetable oil refinery as much as 25 tonnes of edible oil can flow through the plant every hour. Considering the volumes handled, frequent information about the oil in the production process is important. Any abnormality in the production flow would result in a lot of re-work and ultimately, lost time and profit. Traditional analytical methods are time consuming exercises. Hence critical information is not available at the right time for decision making. Usage of APC systems enables availability of a continuous stream of results ensuring better control of production. • Shortening lead times to detect process faults and to trace them back to the root cause. SPC is a method for monitoring, controlling and improving a process through statistical analysis. In this technique the process output is monitored to detect an out-of-control process.Semiconductor industry using SPC attempted to assign a cause to an external disorder. The process was considered out of control if output variance could be attributed to a cause. The disadvantage of using SPC alone is that the controlling process is offline, as the process performance evaluations mainly focus on past performance, using all available historical data to see how a process has been operating and suggest improvements. Apart from the time-lag the cost of rework or wastage is also another disadvantage in using SPC. Composed of different kinds of process control tools APC is often used for solving multivariable control problems. An APC application will calculate moves that are sent to regulatory controllers. APC utilises a model of the plant to adjust operating conditions of the process so as to minimise raw material usage and maximise profits. The output of APC therefore sets the targets for the local closed loop controllers, taking into consideration the operational limits of the plant and effectively bridging the gap between the plant's true business objectives and its actual operations. By adopting APC the semiconductor industry used measurements of important process variables to incorporate a feedback loop into the control strategy. With APC, a mathematical model of the process is used to control the closed loop online and correct the process based on the measurements. APC accomplished this by transferring variability in the output variable to an input control variable. As the process is monitored continuously in APC, it generates useful information about every wafer and helps to identify systematic drifts and offset of the tool and helps in correcting them. Also this control loop in APC can adapt to changing process conditions and control the closed loop in optimal way. • Optimised manufacturing operations and ensured performance improvements. Another approach taken by semiconductor manufacturers was in adopting in situ measurements where in-the- process measurements are taken before the material goes out of the processing tool. But due to the high cost of the integrated tools, this technique did not gain credence. Instead semiconductor manufacturers adopted a combination SPC and APC in coming up with a solution called Run To Run (R2R) control system where in the process results are fed back to the process tool as well as fed forward to the next process tool to correct the variability in the process. This is being adopted by almost all leading semiconductor manufacturing companies. Semiconductor manufacturers like Intel, AMD, Infineon have benefited by implementing APC solutions. These solutions are ensuring better control of the process and thereby enhancing the productivity. Pharmaceutical processes are complex with potential product variability due to variation in operating conditions and raw materials. Process steps, ingredients, the condition of the equipment and changes in the manufacturing environment itself can lead to variations in product quality. The pharmaceutical industry makes good use of technology in product development, but does not do the same in its manufacturing facilities. The pharma industry has lagged in using information technology to automate the manufacturing processes, specifically in its batch record systems and for maintaining process quality control. Pharmaceutical companies still suffer from excessive rework and scrap, high work-in-process, low capacity utilisation, prolonged cycle times and Laboratory bottlenecks According to the figures released by AMR in its research report the industry average for both rework and discarded product is about 50%, on-hold product inventories are at the 40 to 60 day level; The plant utilisation is in the range of 40 to 50%. The average cycle times in the industry are in the 30 to 90 day range. Laboratory bottlenecks can add as much as 75% to the cycle time and even more when an investigation prevents routinely scheduled activities. Considering the benefits that have accrued to Oil refineries, Petrochemicals, Food & Beverage and Semiconductor industries by adoption of process control technologies, Pharmaceutical industry, should shed the conservative approach and incorporate the learnings from the above said industries to address the challenges that plague the industry. The various process parameters are acquired by using multiple analysers, like Infrared (IR), Ultraviolet-Visible Spectrophotometry (UV-VIS), Raman, High Performance Liquid Chromatography (HPLC) and Mass Spectroscopy. 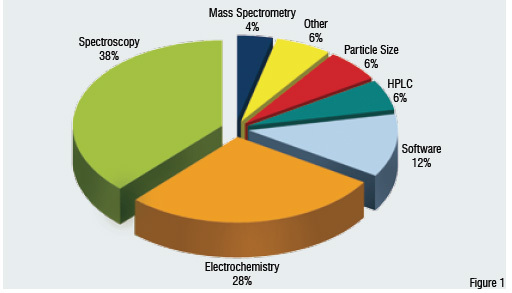 Of all the analytical technologies utilised in PAT applications, spectroscopy is the largest in terms of dollars (Figure 1), with Near Infrared (NIR) by far the most common technique. Electrochemistry, while smaller in dollar terms, is more commonly applied due to the lower cost and relative simplicity of this technique. Other analytical techniques that are now seeing significant application include particle size analysis, HPLC, mass spectrometry, and the small but fast growing technique of thermal effusivity. The market of software for instrument control, process modelling, and data collection and analysis lags significantly behind the instrument technologies in terms of development, and is primarily the realm of software consultants who develop highly customised solutions for individual manufacturers. According to the market analysis and perspective report of Strategic Directions International, Inc the combined worldwide PAT instrument and software market was worth nearly US$ 150 million in 2005, but should see annual growth of about 15% through 2010. The management of PAT data is complex and the flow of information is enormous. Hence a unique data manager that would store all the data in a single distributed database and handle huge flows of data coming from the analysers, the Process Control Systems and Supervisory Control and Data Acquisition systems is required. A normal PAT suite includes modules that provide operator workplace, central method configuration, multivariate analysis batch configuration and asset management for analytical and process equipment. Controlling processes requires a thorough process understanding to be realised within regulated environments. PAT solutions aid in process understanding and control. PAT improves asset uptime and availability for pharmaceutical unit operations by up to 40 %. Costs are reduced by up to 30 % while product quality is maintained. PAT quality assurance approach involves processing to a quality-based endpoint and eliminates wasted cycle time associated with processing using a fixed time-based end-point. PAT enabled unit operations reduce the dependence on laboratory testing and associated lead times, thus reducing the overhead costs associated with product quality. PAT provides an opportunity to move from the current "testing to document quality" model to a "continuous quality assurance" model that can improve a company's ability to ensure that quality is by design PAT will revolutionise the way pharmaceuticals are made in future. The need of the hour for the Pharmaceutical and Biotech companies is to adopt best practices from other industries to ensure improved quality, reduced scrap and enhanced productivity. The author acknowledges the inputs from Alison Smith, Roddy Martin of AMR Research, Thomas Buijs of ABB Automation Technology, www.confectionerynews.com, Stratus Technologies and Strategic Directions International Inc.
2. AMR research report: Pharmaceutical quality: Build it into the process - Alison Smith, Roddy martin. 3. Implementing PAT - Industry example, David Radspinner, Drug Product PAT Leader Aventis. 4. EBR and PAT up the ante for manufacturing IT by Stratus Technologies. 5. PAT Instrumentation: The Pharmaceutical and Biotechnology Market for Process Analytical Technology, January 2006.